At the show I wanted to try stuff I might never get the chance to try again, especially at little cost (compared to normal). So I was able to try the Brora then walked over to another stand (scotchwhisky.com) and tried a Port Ellen (for 2 dream drams). This really blows the old Brora away. Sorry not sorry Brora. Nose: Not what I would expect from heavily peated Islay. 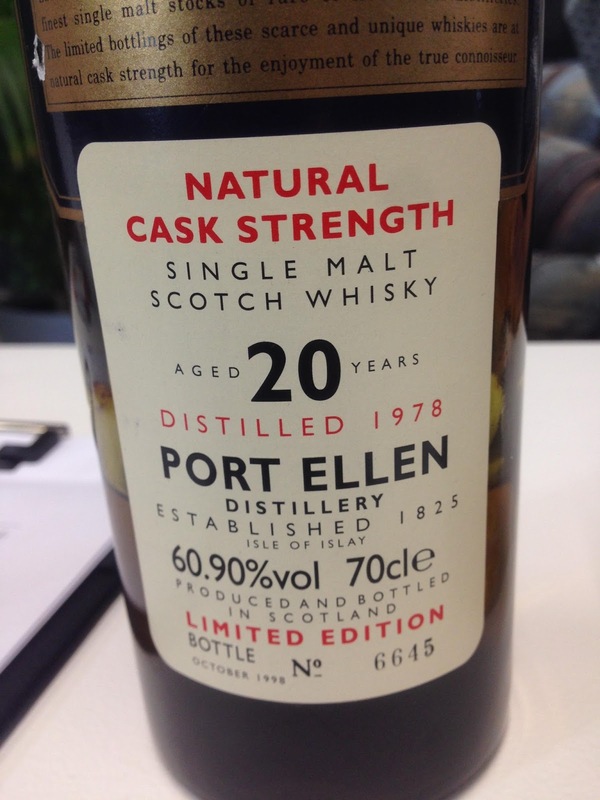 Old school oak (good refill), floral, some tropical fruit, perfumed smoke, black pepper. Talisker-esque for me. Water: More perfume, floral, elegant. Biscuit and malt. Taste: Soft. Wait, what? Islay at 60% alc and it lands like a feather on the tongue. Perfumed smoke, floral, tropical fruit, black pepper, old school oak. It builds. Water: Soft, great balance, building spice with more black pepper, very very oily with green peppercorns. Finish: Long length. A tonne of chocolate! Epic. Water brings more oiliness, olive oil and more oak. Amazing stuff. Really not what I was expecting from a heavily peated South Islay distillery at a high strength. But a pleasant surprise. Actually it reminds me a lot of a Talisker, which is always a good thing. Very very different to its brothers on the same stretch of shore.